Without any doubt, gender inequality continues to be one of the most frequently-debated subjects in American culture. Given the prevalence of large-scale harassment cases that have been presented even within the past year, it’s certainly clear why it’s a relevant topic. Inequality has been an acceptable standard far longer than it hasn’t, even in the most socially progressive of professional work and employment areas. In the interest of keeping abreast on the most relevant events relating to gender inequality topics, one only needs to look at recent news—science and technology sectors have practically become social battlegrounds for topics relating to gender. Google’s firing of one of its developers over an anti-diversity memo gone viral represents the most controversial end of the spectrum. At the other end, two bills that recently received bipartisan support—as well as the approval of the current presidential administration—appear at first glance to be surprisingly progressive and have faced no obstruction. By examining current trends in STEM curriculums and careers, it’s not difficult to find disparities in gender representation. Men are far and away more prominent in most STEM career fields, but the aforementioned bills are working to provide the necessary influence to push for greater equality. The fact that President Trump’s administration quickly approved their passage is, perhaps, the most surprising element of the entire situation. Gender inequality in STEM curriculum and professions is a multifaceted issue. There exists no single solution that will work political or social magic. Rather than viewing any proposed solution as a “magic bullet,” a closer analogy would be to compare it to a partial map of an unmarked minefield. Nevertheless, bills HR 321 and HR 255 have received bipartisan support. In a political climate that frequently seems built upon its own ability to be divisive upon as many issues as possible, this is a surprise. And the Trump administration has not earned a reputation for being science-friendly; quite the opposite, in fact. While this could easily spark discourse centered around the administration’s commitment to equality—an important discussion, of course—it would distract from something more prudent: whether or not HR 321 and HR 255 have the necessary muscle to prompt a necessary change in STEM fields. Below, we’ll take a look at the verbiage of each of these bills, highlighting the strengths and weaknesses of each. Ultimately, it’s important to recognize the weight (or lack thereof) that this legislation is packing. Will the bill prompt an uptick in both the number of women graduating with degrees in STEM fields and the number of women employed in those same fields? Or are they further empty rhetoric that will do very little to change the status quo? The problem of gender inequality in STEM fields is notoriously difficult to address. Sound and researched arguments bombard the topic on a regular basis, which can make it difficult to parse the situation in an effective and meaningful way. Since examining the issue broadly is only of limited use, it’s more valuable to look at specific trends—pieces of the larger puzzle if you will. Real-world studies haven’t painted a particularly bright picture for STEM fields, and that’s before we take into account the systemic difficulties that women are forced to confront. When President Trump signed his name to HR 321 and HR 255, he lauded their importance by referencing an off-the-cuff statistic, which claimed that only 1 in 4 degree-earning women was actually establishing a career in a correlating STEM field. The truth behind that statistic is even more discouraging, however, and it’s made worse by examining the systemic recruiting and training bias against women in many STEM professions. Not only is it significantly more difficult for women to find work in STEM career tracks, women also tend to have higher leave rates than their male counterparts, once they’ve entered those careers. Why? Unsurprisingly, work environments contribute to a significant portion of those statistics. Hostile, male-dominated workplaces tend to reinforce the same obstacles that keep women from pursuing these careers, in the first place. This problem extends across the entire breadth of STEM education tracks and professions. Prospective women students, especially from the K-12 demographics, continually view STEM education as less accessible, rewarding, or lucrative, simply because of their gender. And those who do endure the rigors of male-dominated careers aren’t met with reward, but isolation. The first of these bills—HR 321—is aptly titled: the “Inspiring the next Space Pioneers, Innovators, Researchers, and Explorers Women Act.” Abbreviated, it can be more easily referred to as the INSPIRE Women Act, and its overarching goal is to provide avenues to further education and professional opportunities for women interested in STEM fields. However, commonplace discussion of this bill frequently overlooks its specificities and its curiously vague instructions. The fact that HR 321 is a bill aimed at growing further opportunities for women does not automatically make it effective, or as strong of legislation as it could be. We’ll speak more broadly about the greater difficulties presented in both of these bills, below, but it suffices to say that the largest difficulty with HR 321 won’t come from its inspiration, but its implementation. HR 321 is a directive from the US Congress to NASA, instructing the organization to increase its efforts to encourage young women’s efforts in STEM field training. There is specific mention of aerospace, but the wider embrace of the STEM verbiage is rather telling—the potential behind HR 321 can go far beyond NASA itself, but places the root catalyst for change on the organization. The bill requires NASA to develop a plan that supports its working and retired professionals—astronauts, scientists, engineers, and innovators—to “engage with K-12 female STEM students.” It makes specific mention of early female NASA professionals and requires that NASA prioritize finding ways that they might reach this demographic. On the surface, HR 321 is an exceptional piece of legislature that hones in on a major problem in STEM fields. However, it’s potentially held back by vague literature. And like many other legislative efforts intended to fight gender inequality, it implicates women as having the greatest responsibility for fixing the problem, rather than the male majority that currently dominates the career fields in question. HR 255 isn’t far separated from the HR 321 bill, in concept. If anything, it succeeds in having a broader scope but also remains so vague that it’s difficult to know if the bill’s implied intentions will ever be actualized in a realistic sense. The “Promoting Women in Entrepreneurship Act” is based upon fact-finding statistics that revealed far fewer women working in STEM fields than men. Not only that, the congressional research behind the bill found that fewer women are focusing on STEM disciplines in their academic pursuits, and only approximately 26% of women graduates with STEM degrees are finding work in correlating fields. Few can argue that the goals proposed in this bill would enact positive change for women interested in STEM fields, but like HR 321, the language of this legislation is incredibly lacking in specificity. 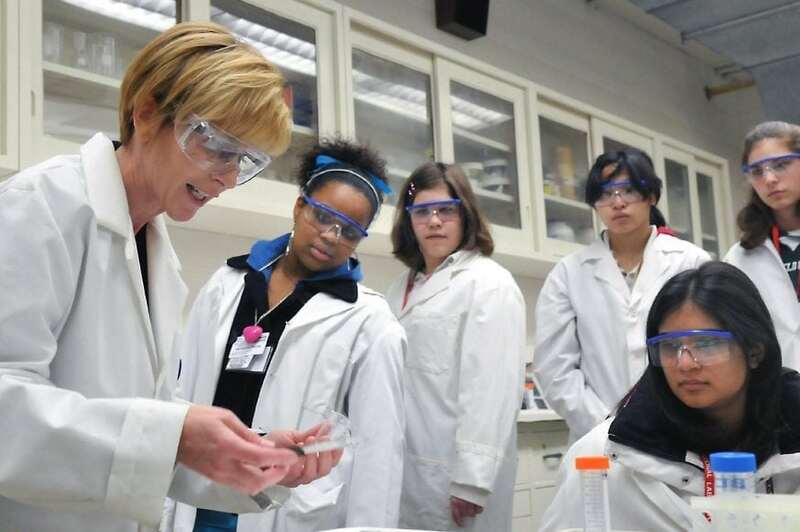 It’s unclear how the National Science Foundation is going to “encourage” programs and organizations to provide support to women interested in STEM fields. And without specific guidance, it becomes difficult to see how this legislation transforms from perceived progressive politics into real-world action. Between HR 321 and HR 255, we are easily reminded of the current systemic societal structures in place that prevent many women from pursuing careers in STEM fields. The rigor of the world and intellectual demands of these professions are not impacted or affected by gender in any proven way—men and women are equally capable of success. The most significant barriers in place against women are put there by—and perpetuated—by the male-dominated status quo of those workplaces. As is the case with many patriarchal structures across various facets of our culture, the problem is self-sustaining. Because men dominate a great deal of current STEM field professions (regardless of the number of women graduating with degrees in these same fields) it conveys a misrepresentative bias, which for young students, can suggest that these fields are not women-friendly. At the conceptual level, it discourages passions and pursuits. At the logistical level, it suggests that the massive amounts of accrued debt and invested time associated with degrees in STEM fields aren’t worthwhile. It also bears mentioning that President Trump’s decision to sign these bills appears to be outright paradoxical. The continued rhetoric of Trump’s administration appears distinctly “anti-science” if not more broadly anti-intellectual. This, when combined with the problems of how vague both of these bills’ implementation and execution currently are, forces us to question how effectively they can possibly be. Without increased funding for STEM fields within the US, where are jobs going to come from? Not only will a paradigm shift allowing more women into these fields be unlikely, it will become even more difficult for people to succeed in them, regardless of gender. The key to providing better support for women wanting to enter STEM fields is twofold, then—legislation that’s introduced in support of the cause needs to be actionable by the agencies involved, and funding needs to be provided for them to do so. The latter of these seems unlikely to happen beneath the anti-intellectual umbrella of the current administration. Other measures having little to do with widespread legislation have been introduced by leaders and influencers within STEM fields. In a published discussion between Melinda Gates and Levo CEO and founder Caroline Ghosn, directly-applied mentorship was suggested as one of the most important factors for women studying in these areas. Throughout the discussion, published on CNET, Gates and Ghosn reflect upon the major influences that contributed to their successful entrepreneurial careers. None of these influences was legislative—you won’t find any bills similar to HR 321 or HR 255 being named. Instead, Gates makes reference to Microsoft managers that worked to ensure she was thinking about the next step in career and project paths. Ghosn expounds upon this, stressing the enormous majority-workforce that millennials will comprise in the coming years—as high as seventy-five percent. Ghosn stresses another point, particularly important for women—we’re living in an era wherein women are graduating with degrees at the same rates as their male peers. Not only does this help to illuminate the glaring gender disparity between men and women in professional fields—including STEM fields, as is relevant to our discussion; it also illustrates the fact that it has little logistical reason to exist. It should be given express mention, of course, that women cannot be solely responsible for encouraging disruption and change in male-dominated STEM fields. Given the current disparities in gender representation within these professions, a great deal of responsibility rests on men to instigate this necessary change. Some of this can be achieved on an individual level, and in other instances, it’s accomplished through managerial efforts. One only needs to look at the recent fiasco with a viral memo inside of Google to see this playing out in a real-world scenario. The memo in question can be read at length here, but the effects both within the company and outside of it can be seen everywhere. It’s an accurate representation of the types of rhetoric and discourse that women face in STEM professions. In this case, the optics of the scenario grew dire enough that Google was forced to take action against the employee responsible for this. In most cases, such things don’t reach the pinnacles of media visibility that this did. This is one prominent example; a useful one for illustration how systemically oppressive gender inequality can be. To be clear, we should be glad that HR 321 and HR 255 have received bipartisan congressional support. However, it’s also important to point out that both bills are sufficiently vague that they’re safe for bipartisan support—neither of them is likely to stoke the waiting fires of social justice issues; there’s no waiting repercussion for the members of Congress who supported these bills, just as there’s none for our current President, who signed his name to them. Elimination of the systemic and institutional obstacles presently arrayed against women entering STEM fields will help level the education and professional arenas. It remains to be seen if bills HR 321 and HR 255 will be actionable, but if nothing else, they’re an avenue by which it can be made to happen. Writing has been my passion for the majority of my life. It’s guided me through a BA, an MA, and much of everything else that life has thrown at me.